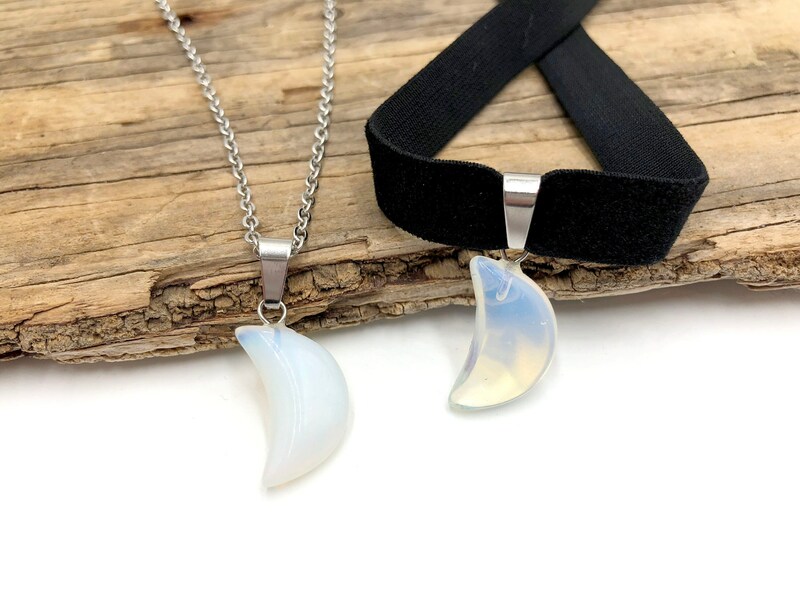 Opalite moon necklaces available on a velvet choker and stainless steel chain. I love my purchase!! The chain and stone are great quality and they rest perfectly on my chest! I used to hate wearing necklaces bc of the heaviness of it, but these are light enough that I don’t even notice! I purchased both the moon and the magicians stone and get so many compliments on them.